When is a toddler not a toddler? In another month she will be 3 years old, where has my baby gone? She’s grown into a happy preschooler who loves Paw Patrol, Peppa Pig, PJ Masks amongst 100 other cartoons. I love it when she comes and and say’s to me “Mummy I’m so happy” it makes my heart melt. She’s become the most loving big sister, and watching them play together is simply amazing. Shes learning so much at the moment, with words, phrases, patterns and numbers. 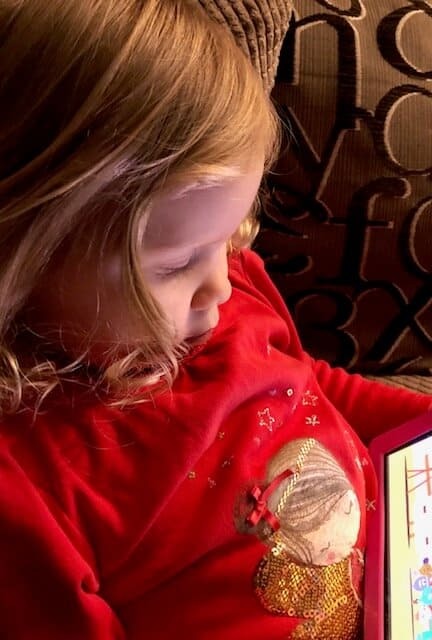 My daughter loves her tablet, of course she’s limited to a certain amount of screen time on it per day. It’s a calming part of her day, chilling out on the sofa with her tablet and blanky. She has learnt so much from it over the past 12 months. We’ve found lots of games, activities, shows and books for her. You do have to be careful though as some of the apps are limited in parental control. This past week we were have been looking at MooTV Kids. A fun app downloadable for free on iTunes and Google Play. It’s like an entertainment channel for kids. They can catch up on their favourite shows, nursery rhymes and movies, yes big Paw Patrol fan here so that was the first show we searched for! She has been a bit under the weather lately and I’m pretty sure she’s had a mild case of Chicken Pox due to spots around her mouth and feet. That looked like the Pox! Before Christmas one toddler was just getting over it in her toddler group so the chances were she might catch it. Having her tablet and catching up on some shows has been the perfect rest time for her. Keeping a preschooler entertained when she doesn’t go to nursery is a challenge. She starts preschool in April though, when we get our free hours through. That’s why I’m always on the look out for apps that can keep her entertained. 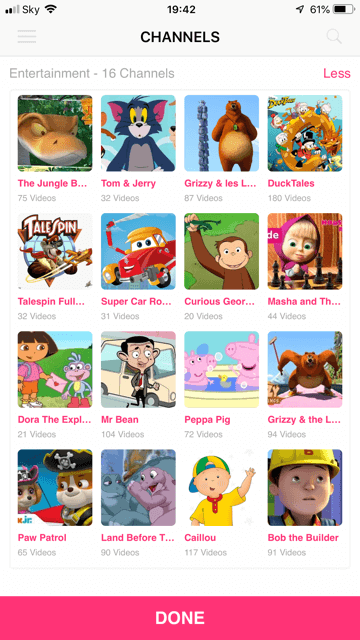 MooTV Kids is great to have available and with it’s parental controls it gives you a peace of mind. It’s created by parents just like us so keeping your child safe online is their priority as much as ours. With it being quick and easy to set up as well, you can be getting on with other things. While she’s been watching her favourite shows on the app, its given her ideas for her birthday party! She want’s party hats, balloons, cupcakes, presents. I get told this everyday.